We've already been besieged with Christmas cards and decorations in shops and adverts appearing on television. But you really know the Big Day is drawing near when the countdown begins to the traditional Christmas lights switch-on. And that is just the case in the Staffordshire town of Tamworth when the festive season will officially get underway on Sunday 26 November with a 'cracker' of an event that will see Tamworth illuminated with thousands of Christmas lights throughout the town. The countdown to Christmas will be launched in style with a packed afternoon of festive fun for the whole family in Tamworth town centre, ahead of the main event in St Editha's Square, outside St Editha's Church, at 5pm, when the town will be bathed in Christmas sparkle. 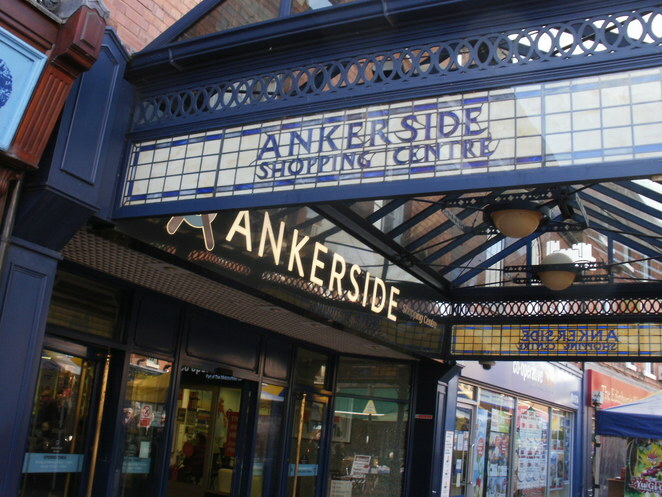 Festivities take place throughout the day from 1pm, including fairground rides, crafts, live music, a Christmas market, walkabout characters, dance performances, a lantern parade, face painting and personal appearances at intervals from The Gruffalo in Ankerside Shopping Centre in Tamworth town centre. The main event will be at 5pm when the honour of switching on the lights will be given to the winner of a special Bake-Off competition which is taking place as part of this year's Tamworth in Bloom competition. They will be accompanied by the Mayor of Tamworth, Councillor John Chesworth, who will, of course, be accompanied by Father Christmas and The Gruffalo who will also make an appearance. 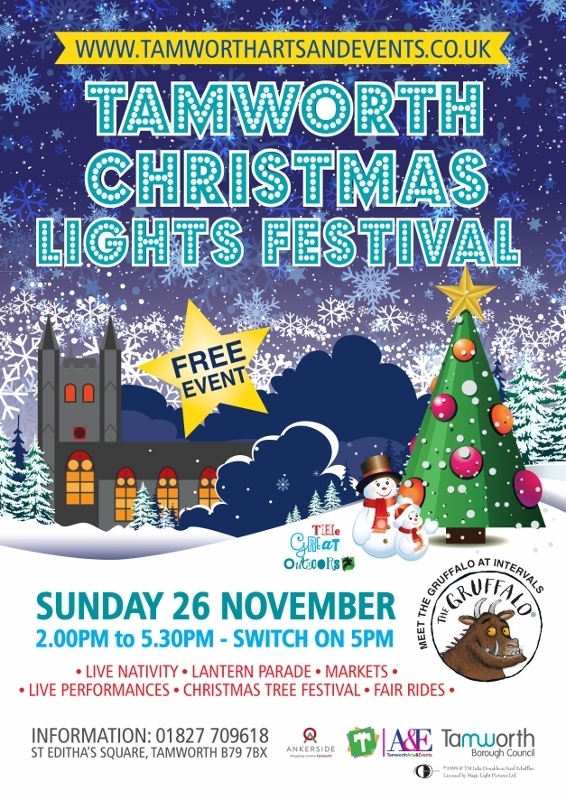 Councillor Joy Goodall, Tamworth Borough Council's Cabinet member for Environment and Culture, said: "The Christmas lights switch-on event is another highlight in Tamworth's free programme of arts and events which is run in partnership with Tamworth Christmas Lights Festival Committee. This year the committee along with the Arts and Events team has organised another great programme of entertainment, including The Gruffalo character which I'm sure will be a big hit with some of our younger visitors. It should be the perfect start to the Christmas season." Throughout November, Tamworth Borough Council's play leader will be visiting primary schools to deliver free lantern workshops. The completed lanterns from the workshops will be used in a parade at the lights switch-on at 4pm. The parade will start from the Castle Activity Centre in the Castle Grounds and lead to St Editha's Square. Children can collect a free glow-stick from the Castle Activity Centre prior to the parade, to make their lanterns glow. Music will again centre round the Touch FM stage in St Editha's Square, featuring live performances from a range of acts from 2pm, including The Jays Vintage, Matilda Pratt, Tamworth Voices, Stage It, Just Perform, Tamworth Pantomime Company, St Leonards Primary School and more. Elsewhere, members of St Francis Church will stage a live nativity under the Town Hall in Market Street and the Christmas market will return to George Street. The market will offer festive sounds from Tamworth Wind Band and a range of stalls selling gifts, crafts, novelties, local produce, wood fired pizza and festive food. 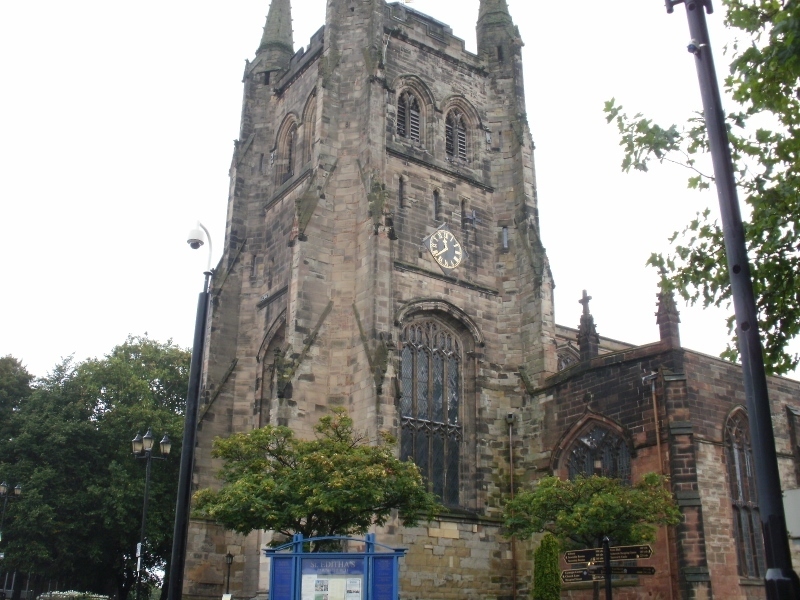 Also returning is the annual Christmas Tree Festival in St Editha's Church, which invites schools, businesses, local groups and individuals to decorate a tree to be displayed in the church. This is an excellent opportunity for people to show off their creative flair and promote their group or organisation. For more information, please contact the Parish Office on 01827 68339. Meanwhile, any businesses or charities interested in booking a stall at the festive market are asked to contact Frances Bragger on 01827 54692, or email frances.bragger@sky.com.